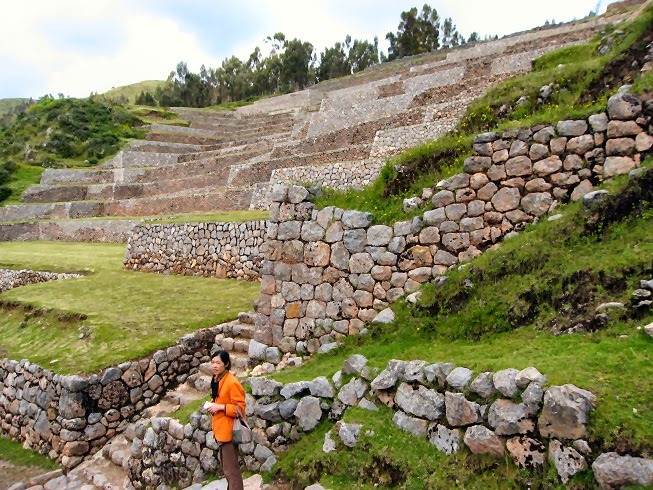 When Yiqian and I were ready to leave Chinchero, we asked directions for the path that would take us down through the canyon to the Vilcanota River that runs through the Sacred Valley. 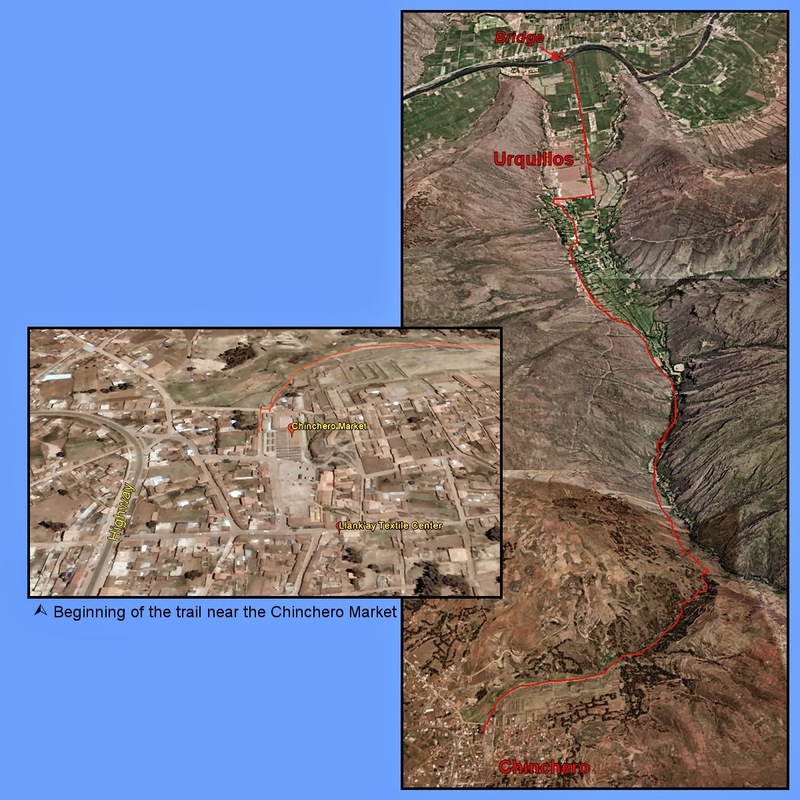 It is a little-known walking trail and indeed, we did not encounter anyone, except on farmer and his dog, on the trail until we approached the village Urquillos, near the river. The trail begins near these massive agricultural terraces that date from the Inca empire. It was not long before we were walking alongside a gurgling creek, with many waterfalls. 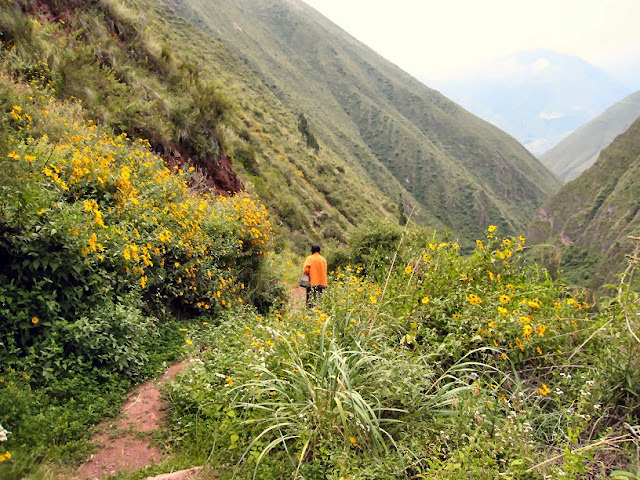 The wildflowers bloom most profusely in the fall in the Sacred Valley—after a summer’s worth of rainfall. 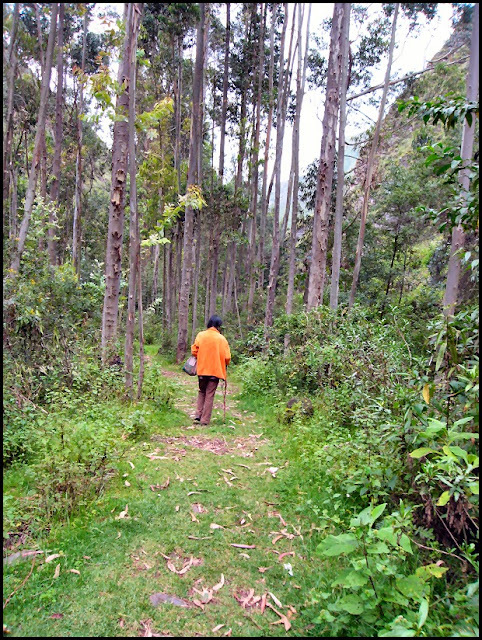 Eucalyptus trees are grown here in woodlots for firewood and building. 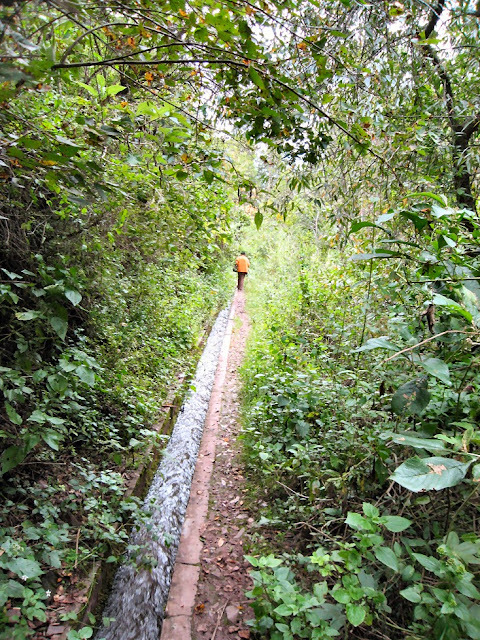 Where the water does not run naturally, artificial canals, like this one, have been built for over a thousand years to direct it to the crops. 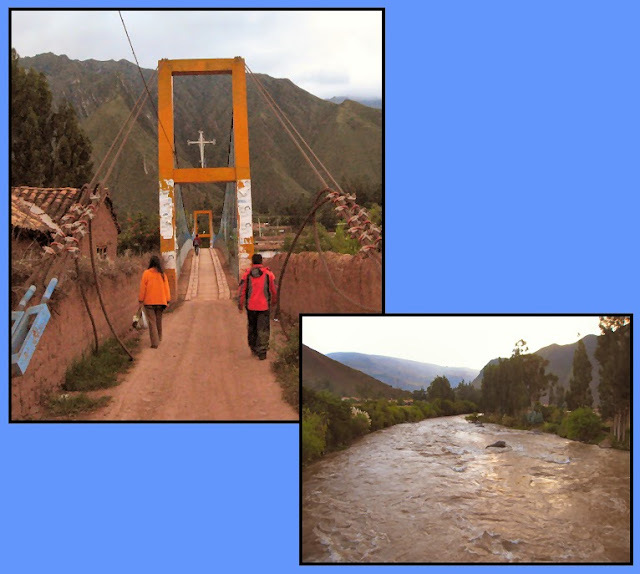 We arrived at the mighty Rio Vilcanota just as dusk settled. 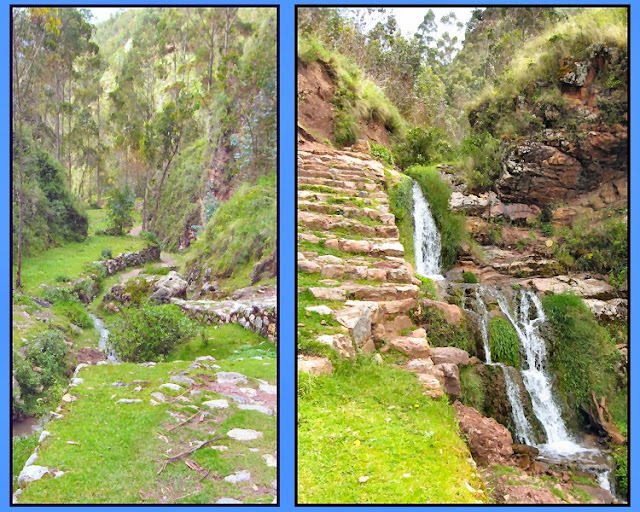 From here we could catch a bus back to Calca. The only difficulty for me was the fact that the entire trail is downhill, losing 2800 feet in 5½ miles. At least the amount of oxygen in the air at 12,000 feet was not a problem—going downhill requires little cardiovascular exertion—but my 60-year-old knees did a little complaining. Despite the pain in my knees, I would do the trip again. I think it is just about the most beautiful hike I have done in Peru. And it is not likely you will meet any tourists.